It is 1896 in San Francisco. Sabina Carpenter and John Quincannon, two former Pinkerton agents, joined forces five years ago to establish Carpenter and Quincannon, Professional Detective Services. Their reputation for crime-solving has since grown. As THE PLAGUE OF THIEVES AFFAIR opens, John is off to investigate the suspicious suicide of a brew master who was found floating in a vat of his secret new recipe. Sabina is in their office, having just taken on a surveillance case to guard a valuable collection at a local art gallery, when a dapper couple from Chicago arrives seeking to hire a man to track down the gentleman’s first cousin, Charles Percival Fairchild III, who stands to inherit a multi-million-dollar estate from his late father. Sabina is unruffled to be mistaken for the secretary as they reluctantly show her the picture of the heir who bears a startling resemblance to the man she knows only as Sherlock Holmes. "These slim novels are steeped in rich, atmospheric and authentic descriptions of the times and people who inhabit and do business in the largest city at the far reaches of the great American frontier." John has dismissed this would-be Holmes as “crack brain” and “bughouse” who pops up inconveniently in the middle of their investigations, but since he is out of the office, Sabina decides to pursue the case on her own. When the couple describes Charles as a “poor daft chap who fancies himself to be the late British detective Sherlock Holmes,” Sabina assures them that she not only is a detective, but recognizes him and can track him down if he’s still in San Francisco. 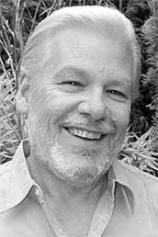 They disclose that their real purpose in finding him is to return with him to Chicago to claim his estate, where he will be subjected to a sanity hearing to be found incompetent and put away. When Sabina also determines that the couple is next in line for the inheritance, she realizes that they are up to no good. Sabina and John have been suspicious of the man they know only as Sherlock Holmes, who is supposedly dead. Whoever he is, he has an uncanny ability to solve crimes. Sabina would like to determine the imposter’s identity once and for all, but she genuinely likes him, whoever he is, and would not want to see him come to harm. The two frequently work together in their investigations, but in this, the fourth mystery set in the bawdy, rough-hewn background of 19th-century San Francisco, they set off in opposite directions. These slim novels are steeped in rich, atmospheric and authentic descriptions of the times and people who inhabit and do business in the largest city at the far reaches of the great American frontier. The rough and ready John tracks down their quarry in the gambling halls, smoky opium dens, dance halls and houses of prostitution. Sabina is well-connected in San Francisco society, so she more easily operates in the great mansions and galleries, yet never balks at following the suspect wherever he (or frequently she) leads. Murder and thievery is the same no matter where it happens. 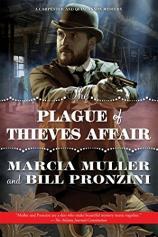 I look forward to seeing what the husband and wife writing team of Marcia Muller and Bill Pronzini cook up for readers in future installments of this fine historical series.